Great Write Up. I got mine going too and I’m very pleased with it. I went with the diamond Multimedia version for precisely the same reasons that you did, Quality, Reputation, Support. Paying $20 more over a Chinese White Box no name device is a small price to pay to allay any of the frustrations those cheapo gadgets can cause. I’m pleaed with the Arcsoft software. I have 75 videos that I need to convert. I might have to wait until I retire to get them all done but they’ll sure come out nice. I installed the software on an HP Touchscreen Laptop running windows 8 and had zero problems. Nice stuff indeed! Hi Randy, Thanks for the comment and I’m glad to know you’re pleased with your VC500. Your recent inquiry along with questions from a few others motivated me to do the write-up. 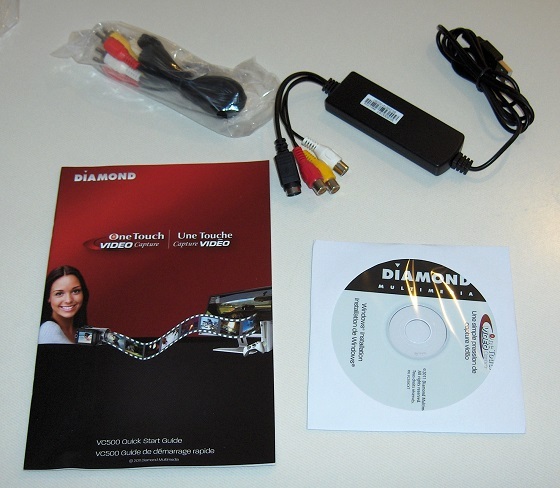 I did some research on the Diamond VC500 and the hardware is manufactured by a company called Beijing Geniatech Inc. Ltd. which is also the company behind the cheap video converters, but it’s their more expensive model and my guess is that the generic ones don’t include Arcsoft Showbiz, which itself is worth $40. It likely would only include the VideoGrabber software which can just capture the video. 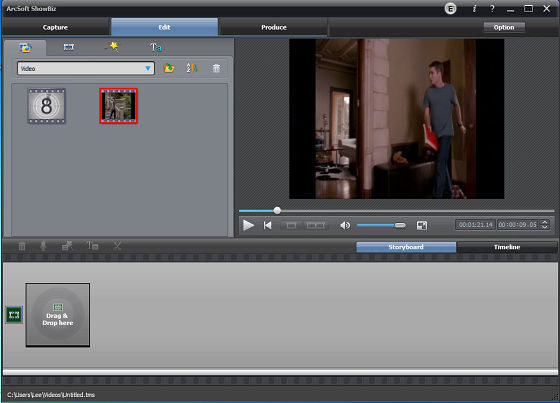 The VideoGrabber software can’t edit video or produce DVDs by itself. The really cheap converters connect directly to the USB port and since they are kind of bulky, that may not work in every situation. The chip inside is made by Conexant, the same company that made the video capture hardware in the HP DVD Movie Writer. Nice info! It reminds me that I need to get my videos converted before it’s too late. On a similar note, any tips on converting European (French) video tapes? BTW: Do you still have the Colt? Hi Gisele, Thanks for your comment. It’s great to hear from you again! French tapes are likely either recorded in PAL or SECAM and if you have a playback device, then the VC500 can probably capture it. There are settings you can use to change from NTSC to PAL or SECAM and so if you have the tape and a player, it should be relatively easy to convert with this device. As for the Colt, I sold it in 1997, just few years after moving to Colorado and replaced it with a LongEZ, which I still fly. I still miss the Colt though. It was a great plane and wonderful for getting in and out of short grass fields (which we really don’t have out west). I sold it to a few guys from Northeast PA where I learned to fly so it sort of went back home again. The last time I looked it up, it was in Ohio. Hi Jon, I have been getting a lot of email lately as a result of people finally biting the bullet and upgrading from XP only to find out that their DVD Movie Writer no longer works with the newer OS. I’ve upgraded my main computer to Win7 last year. As you may know, the dc3000 video capture driver was not compatible with 64-bit systems that started appearing with Vista. I wrote this article about switching to the Diamond VC500 for capturing video mainly for the benefit of people who already have DVD Movie writers, because it includes a newer version of Showbiz and it’s not too expensive. Let me know if using WinXP in conjunction with VMWare works under Win7 (I am not sure how VMs handle low level hardware communications). If not, then the VC500 may be the way to go.